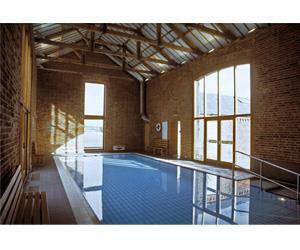 Cranmer Country Cottages Self-cateringCranmer Country Cottages is a small privately owned and managed luxury holiday complex featuring an indoor heated swimming pool and tennis courts. On our main site we offer a cluster of eight 4 & 5 star cottages sleeping from 2 - 6. The properties are homely yet stylishly converted barns with a neighbouring dog friendly cottage annexe. The family friendly cottages are set within 170 acres of sweeping farmland and gardens just a few minutes' drive from many of the best beaches and sophisticated market towns of the North Norfolk coast.